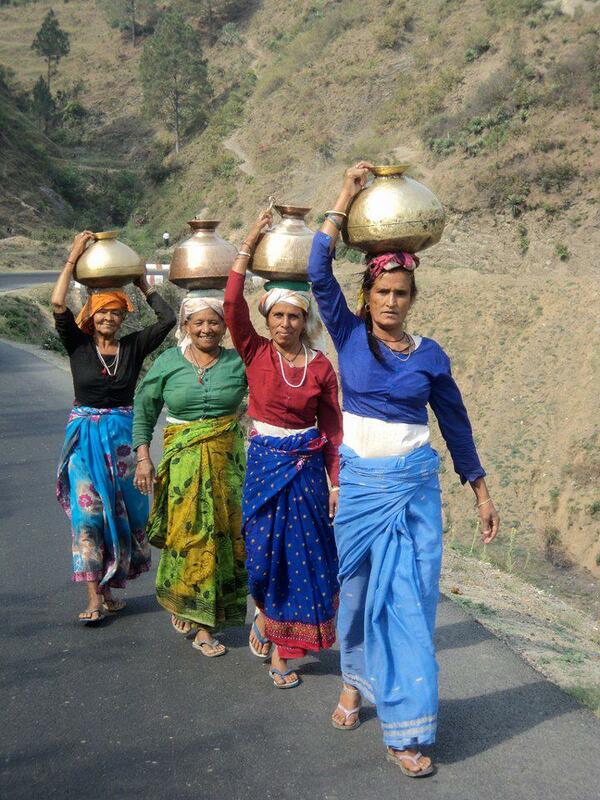 Mountain Perspective and India’s Water Policy | Quest That Change…. In this article suggestions have been given to the government of India in context to its draft National Water Policy 2012 towards water resource planning, development and management in the Mountains of India. This policy document talks about national level water related issues like; legal, usage, climate change adaptation, availability, management, pricing, infrastructure, planning, R & R policies, disaster preparedness, institutional arrangements, among others. It has been advised that the national Policy needs to be constructed considering various ecological principles in terms of judicious use and equitable development. The Government of India intend to revise the National Water Policy (Link: Draft National Water Policy India Feb 2012 ) after almost ten years and asked for comments. After reading the national water policy 2012, I am proposing specific comments in regards to mountain states of India. The mountain regions of India need enough attention due to their very different topography and geomorphological settings. Mountains occupy 24% of the surface area on Earth and have ecological, aesthetic, and socioeconomic significance, not only for the people who derive their daily subsistence from mountain resources, but, also for the estimated 40% of the global population depending indirectly on these resources for water, hydroelectricity, timber, biodiversity, and other niche products (A. Schild 2010). Himalayan glaciers are the source of the great Asian rivers on which about 2 billion people depend for drinking water and irrigation for their crops. In 2008, the UN General Assembly adopted the Resolution 62/196 on sustainable mountain development, which specifically emphasized on sustainable development of the mountain region regions by recognizing the global importance of mountains as the source of most of the Earth’s freshwater. Of the total 50,000 glaciers in the Hindu Kush Himalayan (HKH) region the Indian Himalayan region contains 9575 glaciers and feeds 19 river systems, which includes the major rivers like Indus, Ganges and Brahmaputra. The glaciers in the Indian Himalayan region are spread across above 1 million Sq. km of mountain area with a total of about 23 thousand Sq. km glacial area. In the above context, though the present Water Policy discusses coastal the regions of India (covering 11 Indian states) and the impact of climate change, but, equal importance has not been given to the 12 Indian mountain states. We need to think about this in terms of mountain specific water resource planning and budgeting. Our mountains store water in the form of snow, glaciers, permafrost, wetlands, and rivers, and they supply watersheds by providing ground water recharge. The communities who live in mountain areas benefit from these services, but the main beneficiaries of this huge water storage capacity are the multitudes who live in the vast basin areas downstream. A recent Task Force Report of the Planning Commission of India (in 2010) on the hill states specifically emphasized that the mountains have profound effect on the climate of the Indian subcontinent and Tibetan plateau. It states that the water resource in the Indian Himalayan region are under threat due to diminishing discharge of springs and lowering water table, high silt load, water pollution and reduced water flow from big hydropower projects. In the Indian hill regions there should be provisions for water recharge zones and spring sanctuaries, rainwater harvesting and community owned network of small hydropower generation. The ground water potential of different states of the Indian Himalayan region should be considered while planning for water security of the region. There is a need for workable and community supported solutions to the discharge of polluted water for human habitation and agro-horticulture and industrial operations. The Hindu Kush Himalayan mountains are a major source of stored water in the region. Water is retained in the form of ices and snow in the high mountains, as well as being stored in natural lakes, wetlands, and ground water aquifers, and behind constructed dams. It is evident that the temperature and precipitation in the form of rainfall and snow largely determine the hydrological cycle, including runoff. The changes in these factors will thus impact freshwater supplies from mountain areas and have implications for water availability in the lowlands. The High altitude wetlands are important ecosystems in the Himalayan region (form 16% of total area of HKH) and the ground water aquifers are important for water storage. Water storage based on local practices, should be encouraged. It should have solutions that consider shorter and erratic rainfall, to store massive quantities of water for dry spells. The Policy should look in the existing National Action Plan for Climate Change that emphasizes water resources in terms of adaptation and mitigation measures. While the Policy talks about the ‘low public consciousness’ on water security and its economic value, we need to incorporate the specific provisions of larger and comprehensive IEC (information, education, communication) campaigning through all possible means to save water and I would say that the proposed authorities should take stock from the national campaign – the Polio Eradication programme. While we covered the human, social and economic needs of water in planning, development and management, equal emphasis has not been given to the ecological need, and payment for ecological services (PES). Provisions to fulfill the data gap in the Indian Himalayan region in the context of complete data set on temperature and rainfall pattern will help in future planning. We can’t afford to have the private sector taking charge of water in the states due various reasons and this issue should be dealt with cautiously through a separate debate, considering the environmental and ecosystem issues. In water pricing I see that provisions have been made selectively on volumetric basis, if this is the case then we must think that the water used by big hydropower projects, due to which many ecosystems in the river basins get affected should be charged for holding huge amount of water for the electricity generation. We should think in terms of natural and man-made storage systems, so for obvious reasons when we are using a definite volume of water for productive purposes or business like industrial operations, hydro-power generation or tourism, etc. the cost of using that water should be borne by that business on a volumetric basis. Special emphasis should be given to research areas like GLOF (Glacial Lake Outburst Floods), and high altitude wetlands. Given that in practice different aspects of water use in India fall within the purview of several ministries, line departments and institutions, at both the central and state levels a cautious and practical approach needs to be adopted by applying the IWRM principles for water development and management.